Another Easter inspired idea. 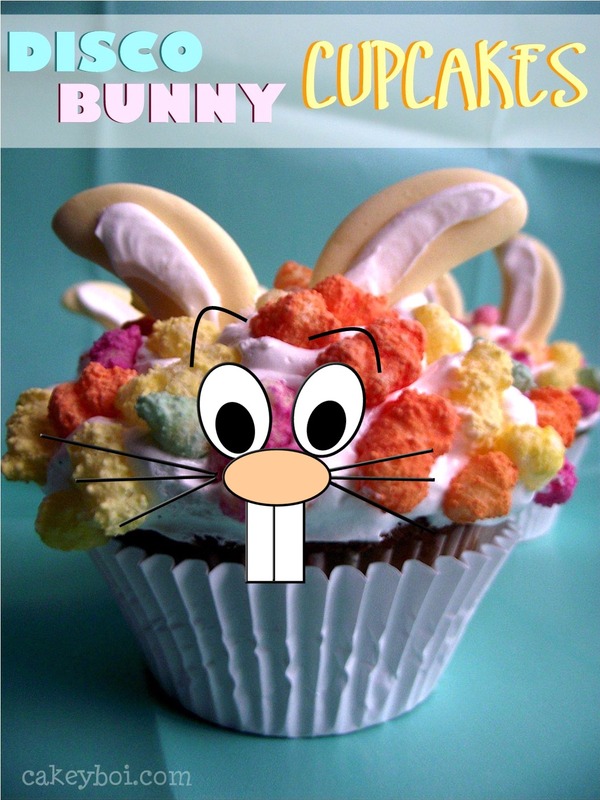 This time I wanted to cover the tops of cupcakes in spring like colours, have rabbit ears popping out of the top. 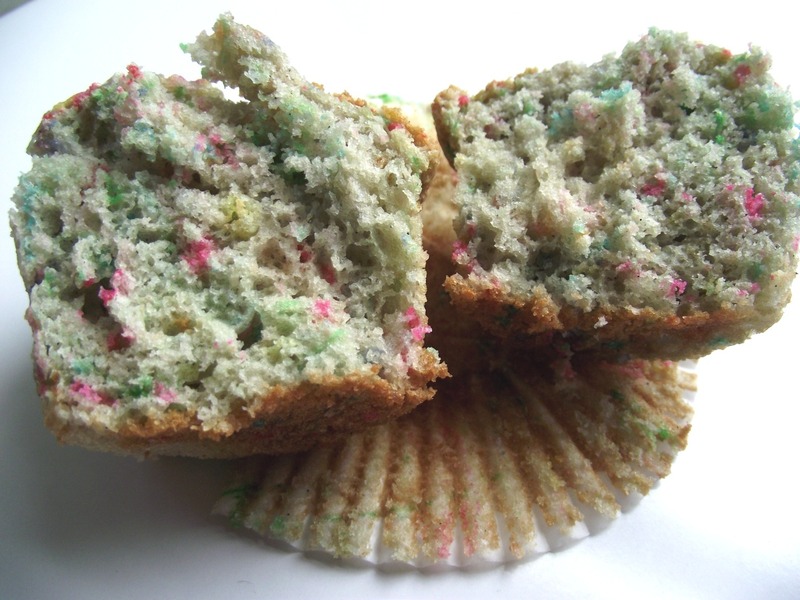 Then I saw a recipe for cupcakes over at Bakerella, where she incorporated coloured sprinkles into the batter, ensuring every bite was as garish as the outside! I made my usual marshmallow frosting, which I piped onto the cooled cupcakes and then dunked them into a bowl of Rainbow Drops, little puffs of rice and corn, which taste deceptively like Froot Loops. 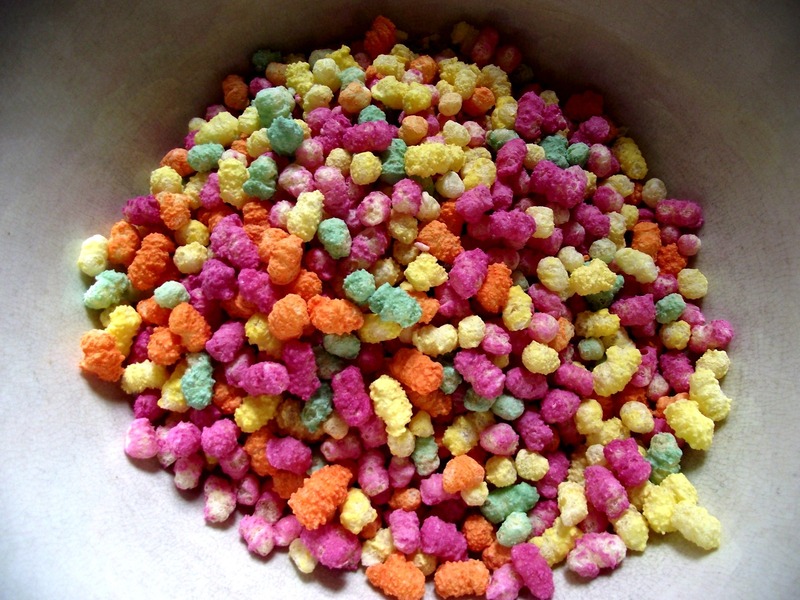 If you can’t get Rainbow Drops, multicoloured mini-marshmallows or even crushed Froot Loops would do just as good a job. For the ears I took foam bananas and piped on a little icing to make it look like the insides of the lugs. 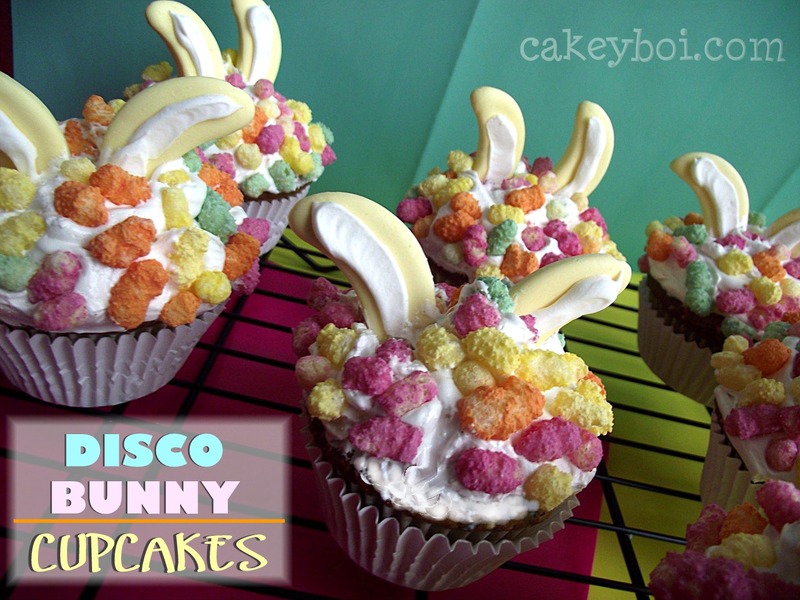 I plunged these into the top and the bunnies came to life (almost!). The cupcakes are moist and vanilla-delicious. 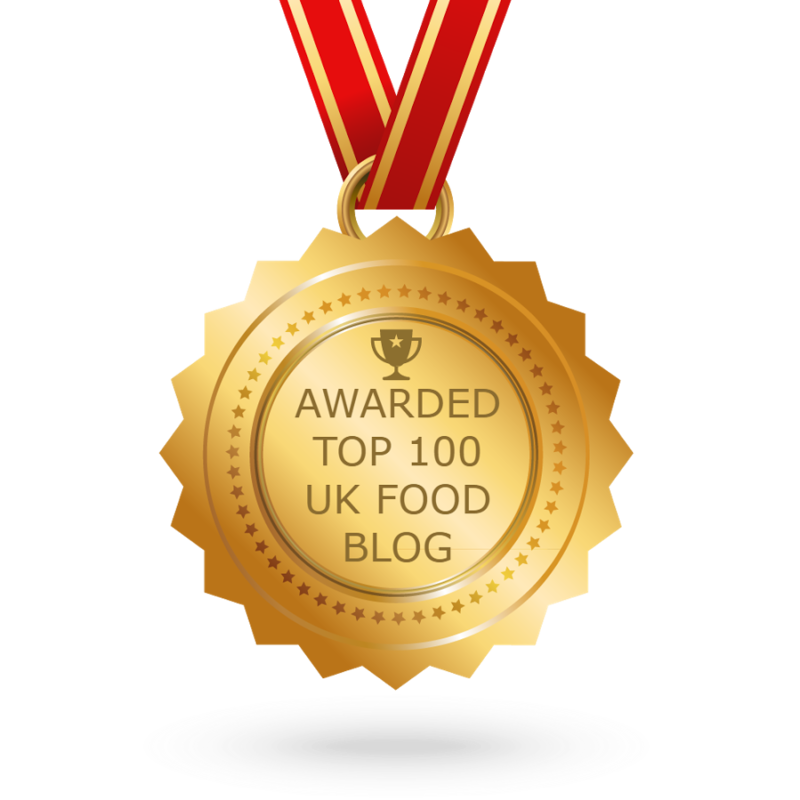 Plus the texture of the slightly crunchy topping is a nice contrast – perfect for Easter parties! Preheat oven to 180oC and line a couple of cupcake trays with white liners. 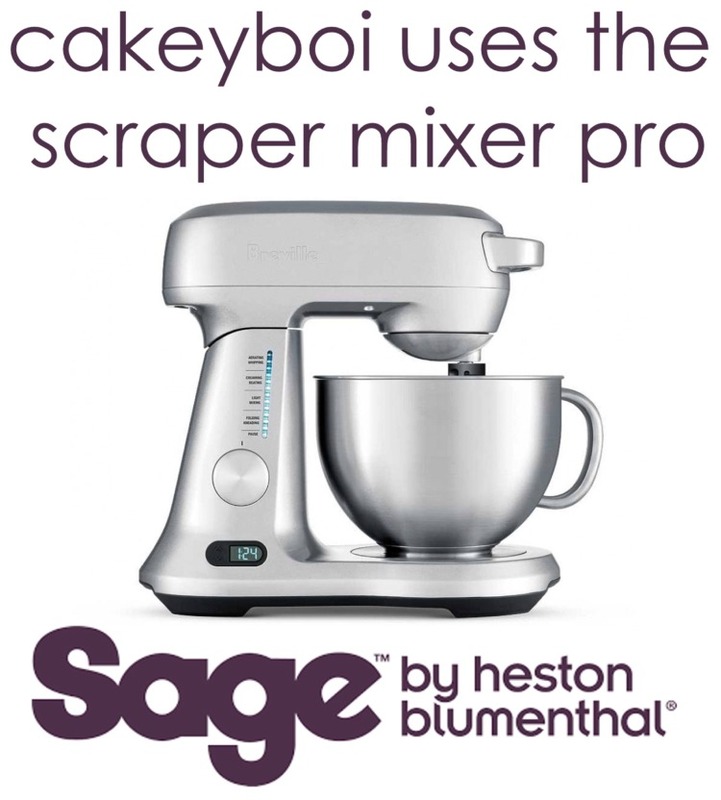 In a mixer, blend together the flour, sugar and baking powder. In a separate gently whisk together the egg whites, milk and vanilla. Add the butter to the flour mix and blend until the mixture looks like breadcrumbs. Add the egg white mix and beat until no dry ingredients can be seen. 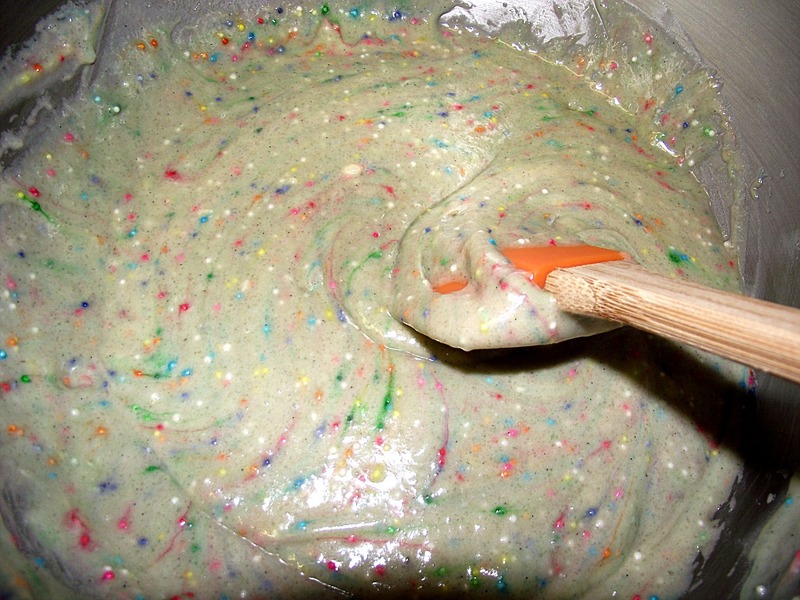 Add the sprinkles and fold through gently. 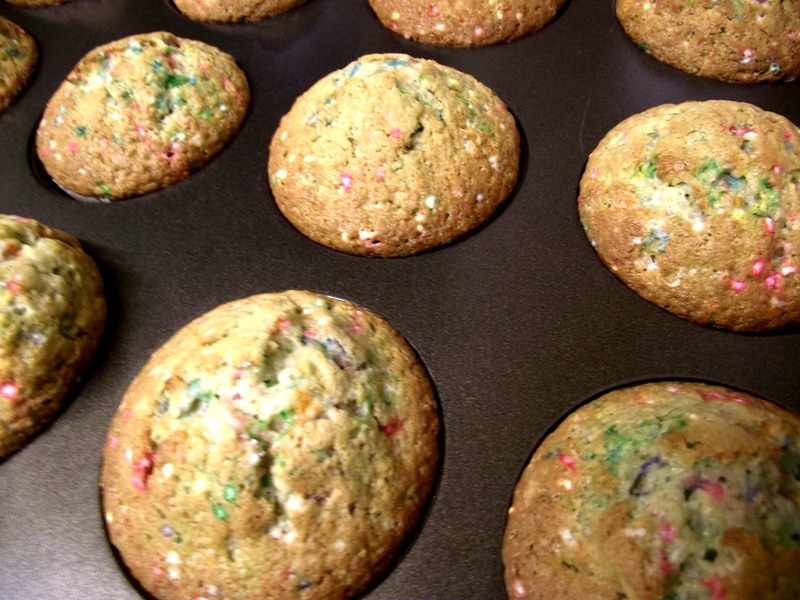 Fill the cupcake cases about 2/3 full and pop into the oven for about 20 minutes, or until a toothpick comes out clean. Allow to cool completely before decorating. Thanks ladies, just a bit of Easter fun!